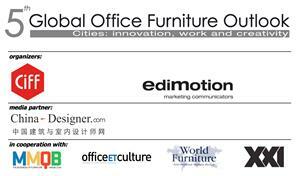 The 5th Global Office Furniture Outlook is the forum organized by CIFF and Edimotion, where international professionals and journalists will debate matters regarding the fundamental role played by some “smart and fast” cities on the development of their countries and even continents. In a world environment that is increasingly more structured and complex, some cities are becoming the heart of creativity, innovation and culture. Shanghai is definitely one of these and the move of CIFF to this energizing megalopolis is a clear testimony of that. The Forum aims to explain the role of these “key cities”, as today they are the heart and headquarter of major productive organizations, but also as real accelerator of the global markets and as incubator of ideas, innovations and future lifestyle. The Forum will take place during CIFF Shanghai 2015, the world’s biggest furniture exhibition. Rob Kirkbride, journalist, editor Monday Morning Quarterback, U.S.A.